Every business owner knows that employee sick time is costly for production. With just one employee out sick for the day, you lose eight hours of production time. The lost production has to be compensated for by either hiring a temporary replacement or increasing the workload of other employees. You can save employee downtime by ensuring the workplace is as healthy as possible. This may involve good sanitation practices for employees, thorough cleaning of common areas, and ensuring the humidity levels are where they should be. Optimum humidity levels improve the health of your employees. It is advised by some health professionals that indoor humidity should reach levels of at least 35 to 45%. When furnaces and air conditioning systems kick in, the indoor humidity level drops. There are many reasons not to use portable humidifiers. Some are small and some are large. Some claim to serve large areas. The portable humidifiers that home improvements stores claim are for the whole home are not. Unless the humidifier is installed in the HVAC system, they are portable units. 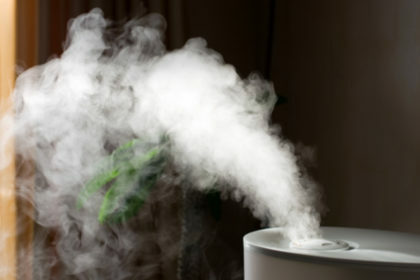 Portable humidifiers claiming to humidify large areas such as 3,600 square feet cannot do what they claim unless the room is actually 3,600 feet. You can only use them in one room at a time because they are not installed into the HVAC system. Imagine using this humidifier in a 15′ x 15′ room. This is only 225 square feet. The humidity does not reach other rooms effectively, so all that humid air is trapped in one room if there is no automatic humidistat sensor on the machine. The walls will be dripping with water. If there is a sensor, then the unit shuts off and still the rest of the indoor space is not treated. Basically, if it has rollers or installs on a wall, it’s a portable. Commercial humidifiers are installed by an HVAC technician. They are installed into a central HVAC system, normally between the hot air ducts and the col air return. They can operate independently from the heating system or with it. As hot air flows into the house, it passes through the humidifier. A bypass humidifier draws warm air from the heat ducts of a furnace. They are installed on the return plenum or the supply of a forced air handling system. Fan-powered humidifiers work similarly but they have a fan which blows air across an internal water panel. Steam humidifiers will add humidity to the air even if the furnace is not on. The system blower picks up the steam and pushes it through the ventilation system. Commercial humidifiers that come with an automatic digital humidistat will function automatically. You do not need to turn them on or off and don’t need to move them around the house. They provide targeted humidity levels throughout the entire square footage of your building. 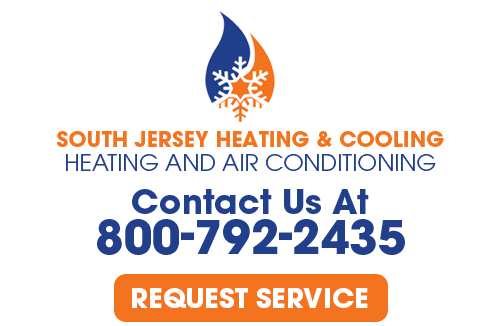 If you have questions or are interested in Commercial Humidifiers, please call South Jersey Heating & Cooling at 800-792-2435 or complete our online request form.